Initiation of corruption case against Chelyabinsk ex-governor upheld | Russian Legal Information Agency (RAPSI). MOSCOW, August 2 (RAPSI, Yelizaveta Ponomareva) – A court in the Sverdlovsk Region has upheld a decision to open a bribery case against Mikhail Yurevich, former governor of the Chelyabinsk Region, lawyer Igor Trunov told RAPSI on Wednesday. Yurevich stands charged with taking 26 million rubles (about $430,000 at the current exchange rate) in bribes. On May 12, a court in Yekaterinburg dismissed investigators’ motion to arrest Yurevich in absentia. The ruling was appealed by prosecutors. Later, the Sverdlovsk Regional Court overturned the lower court’s decision and issued an arrest warrant for Yurevich. 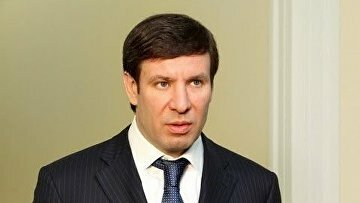 Investigators claim that Yurevich received bribes regularly. Their amount was estimated at 26 million rubles.